The brother of a sitting lawmaker in Kyrgyzstan has reportedly been arrested as part of the Chinese government’s relentless security sweep in its Xinjiang province. Askar Yunus, 49, an ethnic Kyrgyz historian who worked at the Academy of Social Sciences of Xinjiang, is said by Radio Free Asia to have been arrested around the end of last month. In a November 30 report, Radio Free Asia quoted an employee at the academy as saying staff had been “informed at a meeting there are some problems” with Yunus. It is not know what offense Yunus is believed to have committed. Arrests of ethnic minority academics have become regular occurrences in an ever-intensifying climate of repression in Xinjiang. Like Islamic clerics, local intelligentsia appear to have fallen under near-automatic suspicion. What makes Yunus’ case unique, however, is that his brother is a parliamentarian in Kyrgyzstan, a country that relies heavily on Beijing for economic support. Attention to the link between Askar Yunus and Adil Zhunus uulu was initially drawn on Twitter by Kyrgyz political commentator Edil Baisalov. Two people have since told Eurasianet that Zhunus uulu personally informed them of his brother’s arrest. One is a former presidential advisor while the other is an aide in the lawmaker’s office. Zhunus uulu – a naturalized Kyrgyz national who claims to be the country’s first Chinese-born parliamentarian — is seemingly reluctant to speak on the matter. Kyrgyzstan’s government has said virtually nothing on the security crackdown in adjacent Xinjiang. Earlier this year, a UN panel determined that more than 1 million people from ethnic minority communities, mostly Uighurs, may have been interned in camps. Ordinary Kyrgyz and Kazakhs who were born in Xinjiang but have since obtained citizenship in their historic homelands are growing increasingly vocal about missing relatives. But the idea of a Kyrgyz legislator doing the same would embarrass Bishkek, which leans on China for easy credit and technical assistance. What is all the more odd about this situation is that Zhunus uulu’s parliamentary posturing is notably pro-Chinese. As recently as October he was suggesting Kyrgyzstan sell its national carrier Air Kyrgyzstan to Chinese investors. 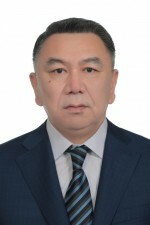 When President Sooronbai Jeenbekov traveled to China to meet with President Xi Jinping and other top Chinese officials in June, Zhunus uulu was one of just five parliamentarians who joined the official delegation. So far, neighboring Kazakhstan has been slightly braver in broaching Xinjiang with China, even if official rhetoric never approaches criticism. Last month, Kazakhstan’s foreign minister and China’s new ambassador to the country met to discuss the region among other topics. According to the Foreign Ministry in Astana, the two were happy to agree that the Kazakh ethnic diaspora of 1.6 million in Xinjiang constitutes a “living bridge” between the two countries. Zhunus uulu might once have thought of himself in similarly connective terms with regard to the 200,000 ethnic Kyrgyz in China. But if the reports of his brother’s arrest are true, the terror being spread throughout Xinjiang may have proven a bridge too far.